Pam’s Clay Spawn Mod 1.12.2/1.11.2 for Minecraft is a small mod locating in a mod set programmed and designed by a famous Mod Developer – Pam. Some large and popular mods that he has programmed are Pam’s Harvest Craft, Pam’s Desert Craft in Minecraft community over the world. Moreover, he also programmed several tiny mods to support new players to Minecraft. It is one of them. 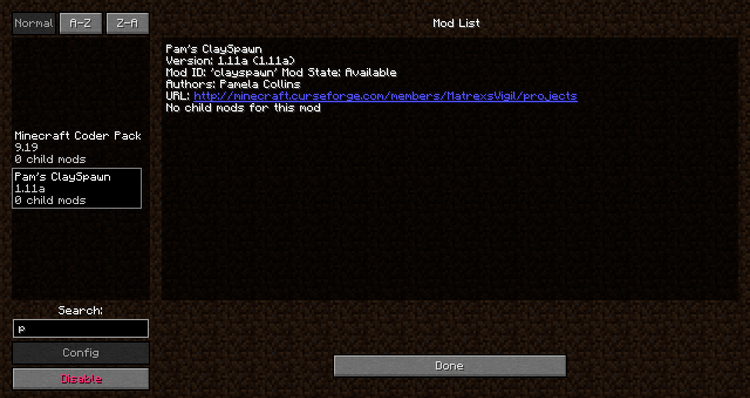 Pam’s Clay Spawn will bring one file Config into World Generation system of Minecraft. It allows the players to customize and change the distribution of Clay Block all over the world by changing the limit of that block. 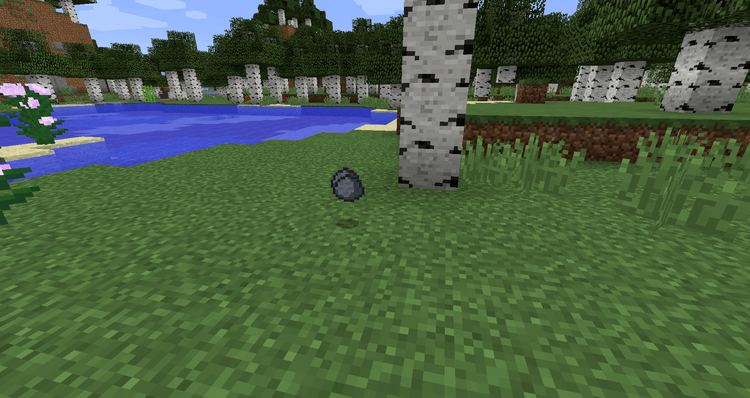 The limited of the blocks in Minecraft is decided by the available numbers programmed in the source code of Mojang. These figures frequently do not change because they are programmed to balance the game. The players cannot use those elements to break the rules and ruin the experience of the match. Sometimes these equal numbers can disappoint the Minecraft players because some blocks like Hardened Clay ‘s hard to make. While using them to construct the building spends a lot of Clay Blocks which rarely finds, should the players use Creative Mode to build huge buildings with using Hardened Clay? As a result, the experience of Survival will be destroyed. Pam’s Clay Spawn will solve that problem. 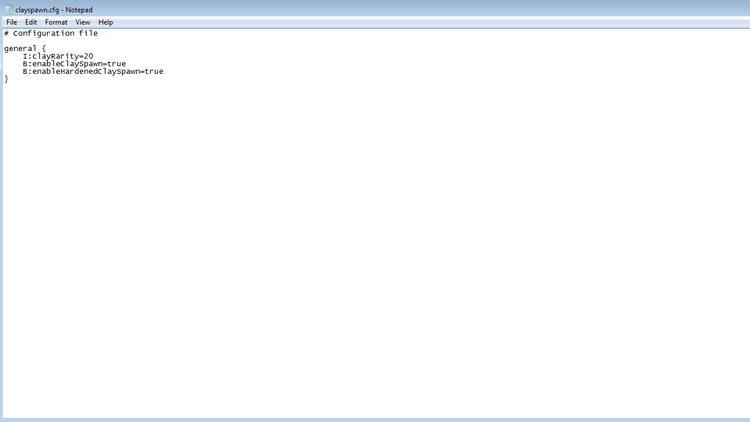 Only the players change the ratio of ClayRarity in the config file of the mod. 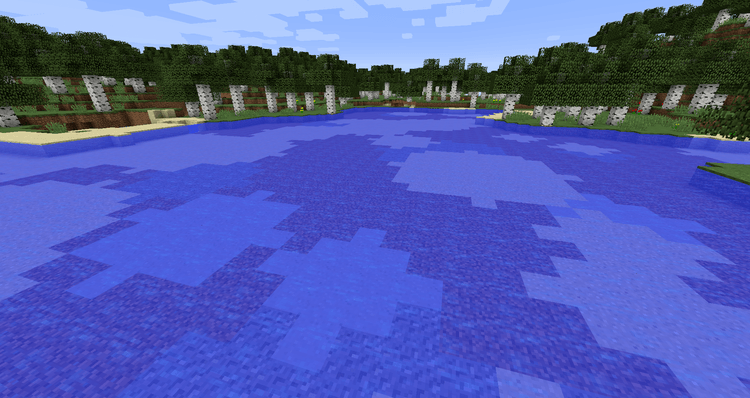 Pam’s Clay Spawn requires Forge Mod Loader and Minecraft version 1.9.4/1.10.2, 1.11.2, 1.12.2.